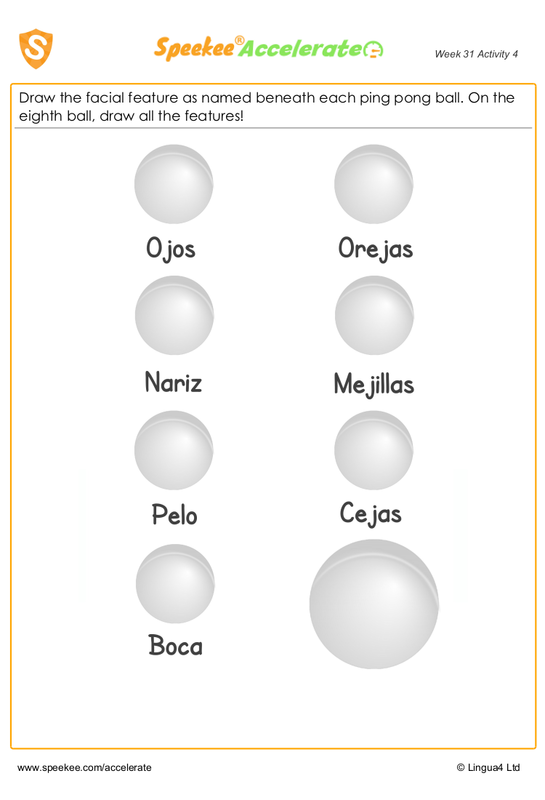 A fun worksheet to practice parts of the face in Spanish.Draw the facial feature as named beneath each ping pong ball. On the eighth ball, draw all the features! Draw the facial feature as named beneath each ping pong ball. On the eighth ball, draw all the features!